The Council for Higher Education is starting a new program to recruit seven new nuclear scientists. According to documents obtained by Walla! news, the project is designed to "rehabilitate the nuclear physics research and instruction for the national need." A budget of seven million shekels ($1.8 million US) has been set aside to find the candidates, who will be chosen from outstanding physics graduate students. Those selected will receive generous scholarships and will become university faculty members within three years. According to the Council, two will be picked next year, followed by another two in 2018 and the final three in 2019. An inside source explained to Walla! that Israel is falling behind in the field of nuclear engineering. 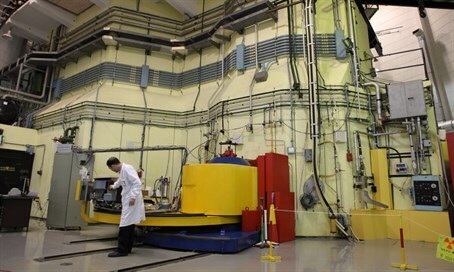 "Israeli nuclear research needs to bring people into this field." He added that the scientists will be affiliated with universities, but that their work could also involve national security issues. "These people are performing research, but part of their experiments will be with the nuclear reactor in Dimona." Education Minister Naftali Bennett (Jewish Home), who also heads the Council for Higher Education, has commented: "These grants join a series of scholarships that we give to advance excellence in research in various fields. Promoting achievements in physics is a national need no less than an academic need. The field of physics, in addition to being essential research, will help developments in numerous fields that are better left unsaid." Israel built two nuclear reactors in the 1960s, one in Nahal Sorek and the second in Dimona. Foreign sources claim that Israel has also developed nuclear weapons, though Jerusalem maintains a policy of nuclear ambiguity, refusing to either confirm or deny the reports.